The stunning new Sontronics CORONA is a beautifully designed dynamic microphone designed for use on stage or in the studio. 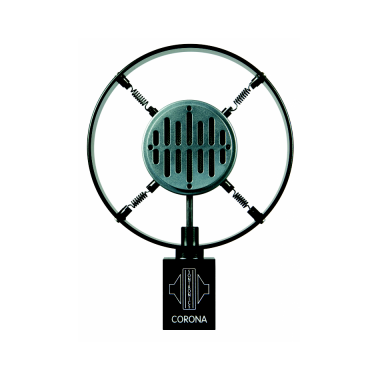 Boasting a tight supercardioid polar pattern, the Sontronics CORONA was developed with vocals in mind (after so many people asked us if our retro-inspired HALO could be used by singers) and gives stunning results on sung and spoken vocals. CORONA has been carefully crafted to also deliver outstanding results on guitar amps, drums, percussion, saxophone, brass and other instruments. 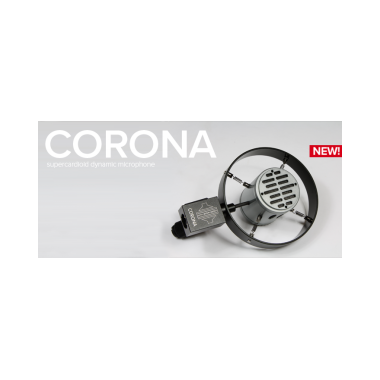 "The CORONA has existed in our minds and as a prototype for so long, we're proud to say it's finally out there! "Back in 2011, when we released our HALO dynamic mic for guitar amps, people almost immediately started to ask us if it could be used by singers, thanks mainly to its eye-catching good looks. Although a lot of people do use HALO for voice, it isn't ideal because of its tailored frequency response and for reasons related to its capsule housing, but we kept getting asked the question so I did something about it. "Using the same supercardioid capsule we use in our best-selling SOLO handheld mic," continues Coley, "I designed a retro-inspiring housing for it, but that was only the beginning. Several pages of the sketchbook, a few 3D-printed models, a lot of physics calculations and months of beta-testing later and the CORONA was born. 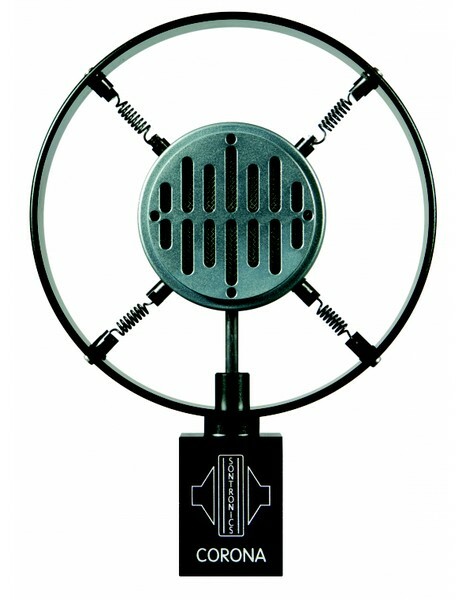 It really is a stunning mic, in looks and sound, and we can't wait to see and hear people using and enjoying it!" CORONA is supplied in a sturdy, hard-shell flightcase so it can be protected from the rigours of gigging and touring and, like all Sontronics microphones, CORONA is covered by our Lifetime Warranty (read more about it here). Thanks to its exceptional performance as well as its striking and retro-inspired good looks, CORONA is an indispensable modern classic. Sontronics CORONA is available now, so contact your nearest Sontronics stockist or distributor to find out how to buy or try it today!